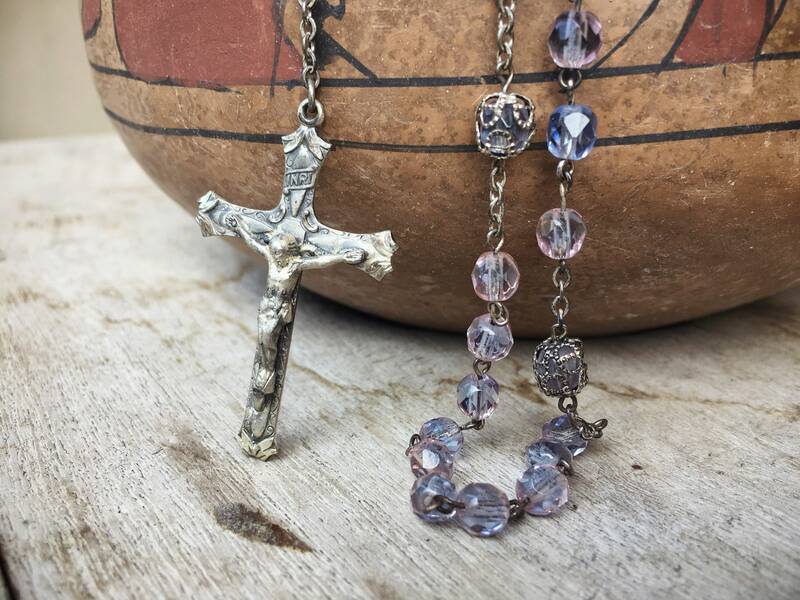 This sterling silver crucifix rosary is made with very pale blue crystal beads with a hint of pink or opalescence. 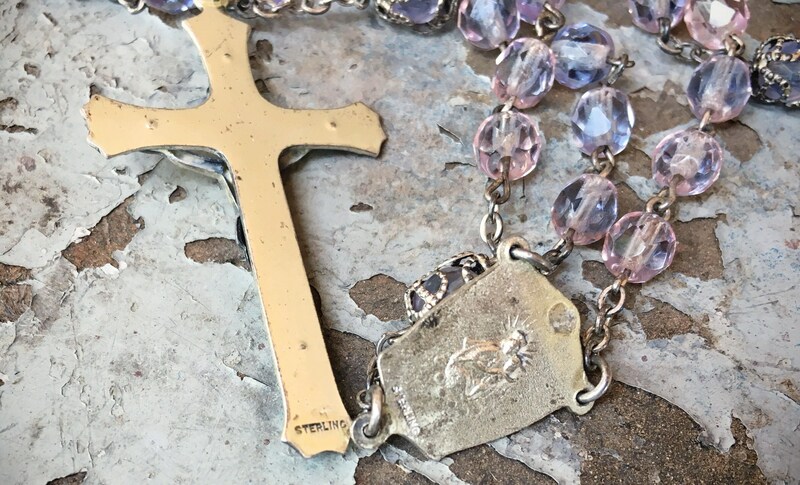 The back carries a STERLING stamp, and the crucifix and small medallion above it are cut such that the silver sparkles at an angle. 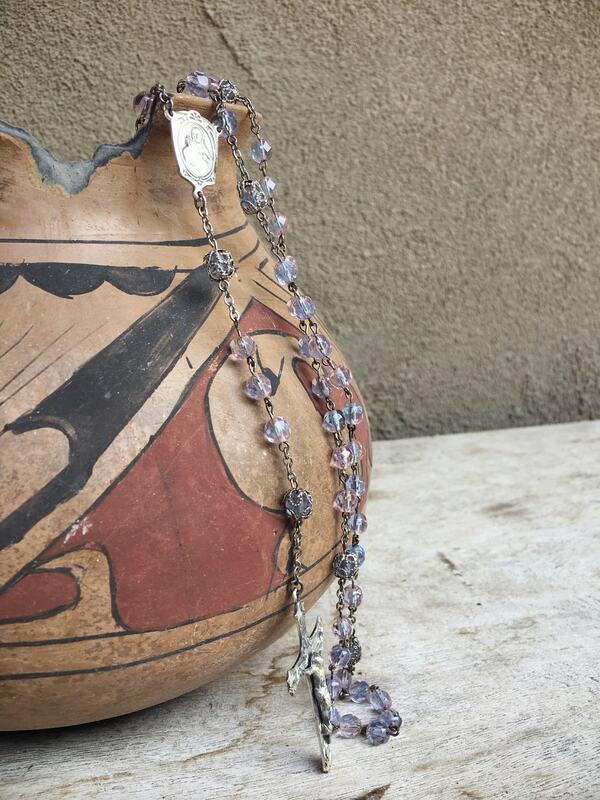 The color of the beads is a mysterious, at times pale blue, other times blue pink, other times almost clear. Some of the beads don silver filigree cap or enclosure. 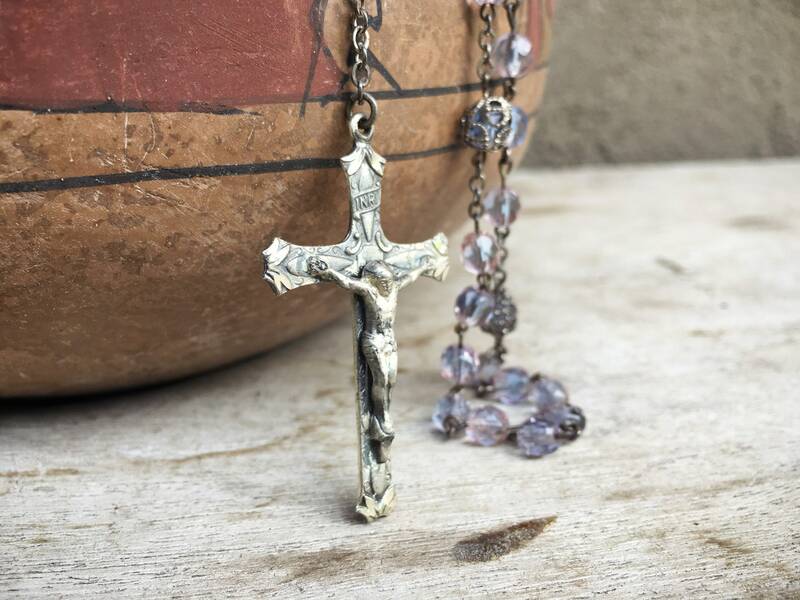 A special vintage rosary for or from a godparent or person sponsoring for any Catholic celebration or milestone. The cross measures just under 1-1/8" wide by tall by 1-7/8' tall. 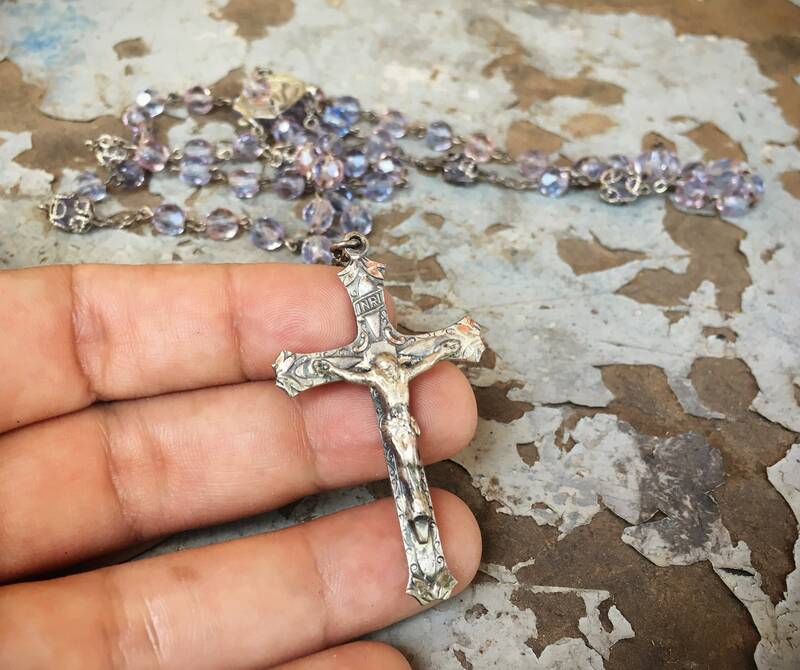 When measuring the total necklace length from the top to the bottom of the cross, it is about 19-1/2" but keep in mind that it will hang a little less than that accounting for the curve of the neck. There are some small scratches on the back but otherwise in great vintage condition. 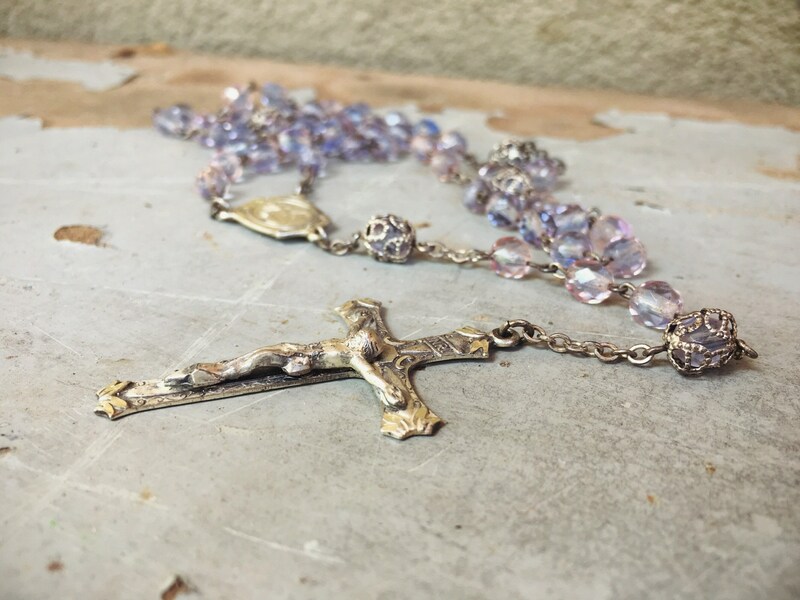 You'll want to keep this beautiful piece close to heart.